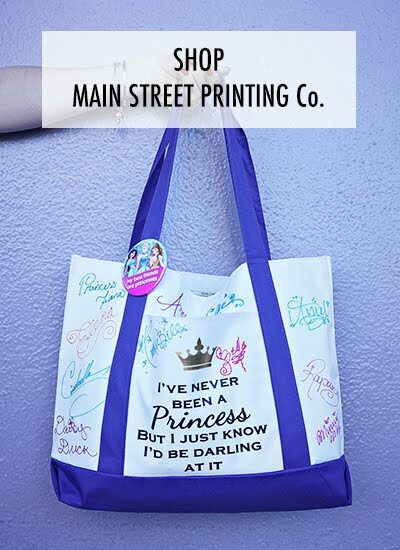 Magic on Main Street: Inspiration Link Up! What's Inspiring You This Week? Inspiration Link Up! What's Inspiring You This Week? Lately, I have a love of peaches. 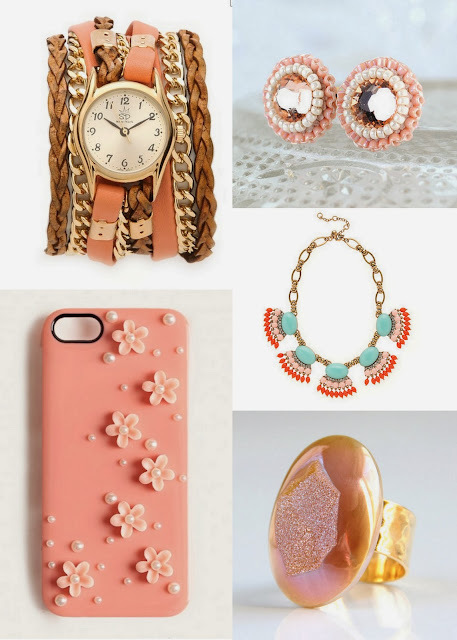 Peach blossoms and beaches themselves, I love everything peach right now, so much so that I've even redone my blog in shades of peach! I think it's in part because I've been reading all sorts of southern living blogs, most recently A Happy Wife in New Orleans and A Sweet Georgia Peach (yum). 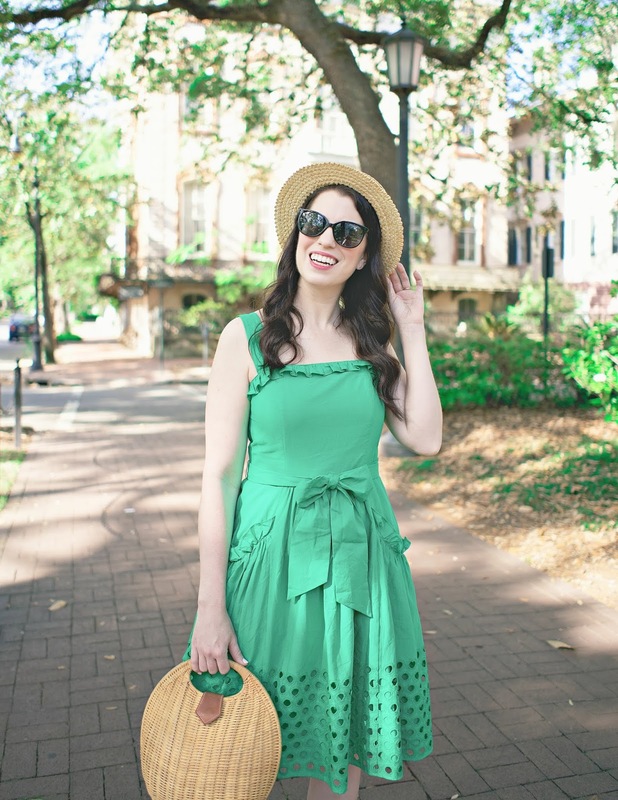 Anyway, these blogs are full of sunshine, short sleeves and other things that make me think of warm weather. 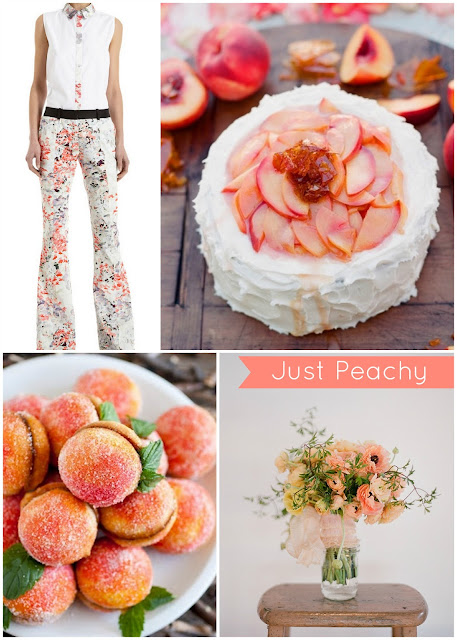 I can not think of anything else that means summer more than peach. So, while I wait for the temperature to go up and flowers to bloom (yeah, I'm going to be waiting a while) I will just have to make do with peach smoothies from Fresh Market (I need to get rich just so I can afford to do my grocery shopping there there) and peach accessories. I'm particularly in love with these finds. Fashion, design, beauty - what inspires YOU? I love peach too, the colour and the fruit! The cake looks absolutely wonderful... might have to experiement and see if I can make something that looks similar. so gorgeous! I know, right!? It looks so delicious. Also, please correct me if I am wrong, but do you not allow comments on your blog? I can't find a link to comment, am I just being slow?